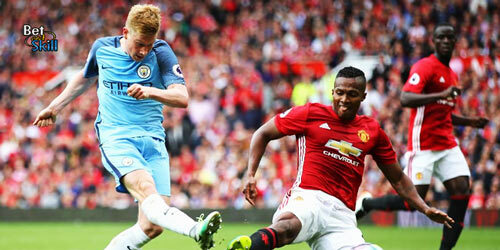 Manchester City and Manchester United go head-to-head in a much anticipated Manchester Derby showdown at the Etihad Stadium on Sunday. Check out below our MANCHESTER CITY v MANCHESTER UTD betting preview with expert predictions and betting tips, lineups, enhanced odds, exclusive bonuses & no deposit free bets on the Manchester Derby! The Citizens, who are two places and four points ahead of United in 4th spot, are perhaps concentrating more on the Champions League than the Premier League at this stage, a competition that they have reached the Quarter Final stages for the first time in midweek despite a disappointing performance in a terrible goalless affair with Ukranian side Dynamo Kiev last time out. Ander Herrera is a doubt while Morgan Schneiderlin and Bastian Schweinsteiger will be pushing for a start in midfield. Ashley Young and Cameron Borthwick-Jackson returned to training earlier in the week and could also be considered. Youngster Marcus Rashford will lead the line while Jesse Lingard, Juan Mata and Anthony Martial may form the attacking midfield trio in the 4-2-3-1 formation, with Memphis Depay the alternative option. Wayne Rooney, Luke Shaw, Phil Jones and Will Keane are all still absent. Manuel Pellegrini’s men have won four of the last six league derbies, although neither of the last two. The teams played out a drab 0-0 draw in the reverse fixture earlier this season at Old Trafford. There have been over 2.5 goals scored in 12 of Man City's last 13 home games in Premier League. Price boosts! 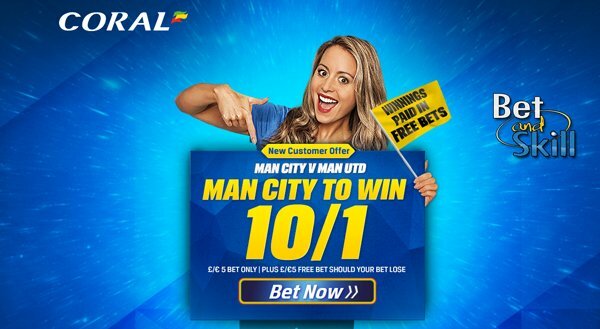 5/1 MANCHESTER CITY or 12/1 MANCHESTER UTD + £100 bonus! Risk-free! 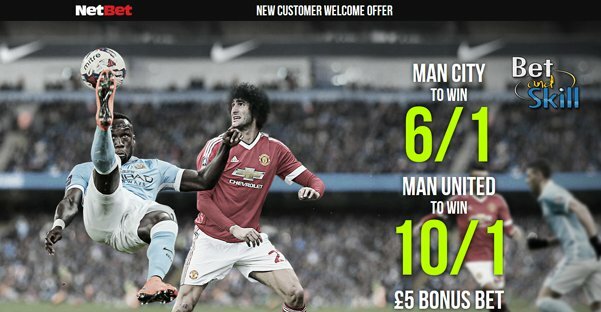 Netbet double boost: 6/1 Man City or 10/1 Man UTD to win! Crazy price! 10/1 both teams to score at Betbright! Man City boost! 10/1 to win at Coral + £5 free bet! Enhanced price: 5/1 Man City to win the match! BTTS Boost! 5/1 Both teams to score at Ladbrokes! Bet £20 pre-match, get £10 free in-play! "Man City v Man UTD predictions, betting tips, lineups and odds (Manchester Derby - 20.3.2016)"